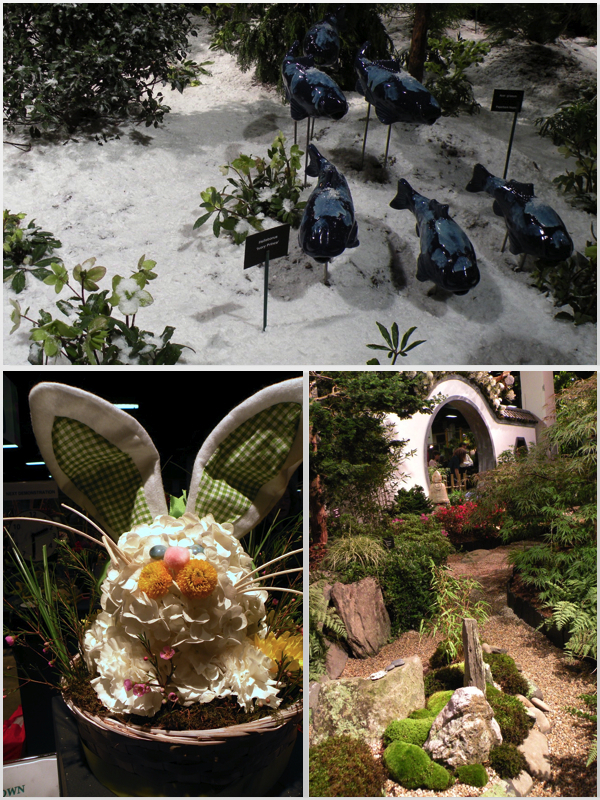 If you’ve lived in New England for any bit of time, you’ll know that the New England Flower Show has long been the herald of springtime after a usually long, dark winter. Aside from the wee crocuses and forsythia, it will be another six to eight weeks before we see much of anything flowering naturally outdoors. The usual rule of thumb here is don’t plan your annuals until Memorial Day because frost is still a possibility. 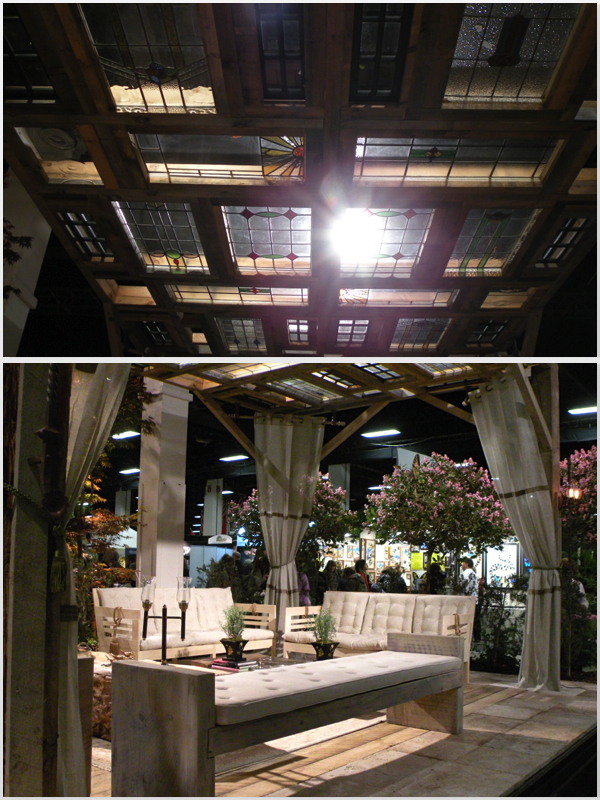 So, the Flower Show has at times felt like a life saver. Run for years by the Massachusetts Horticultural Society (dating to the 19th century) the show drew crowds from all over New England and well beyond. Unfortunately, the times being what they are, the last large New England Flower Show was in 2008. Since then, the show has downsized considerably. Though it’s not as fabulous as it once was (which is a true shame), there were some displays at this years show that were pretty great. 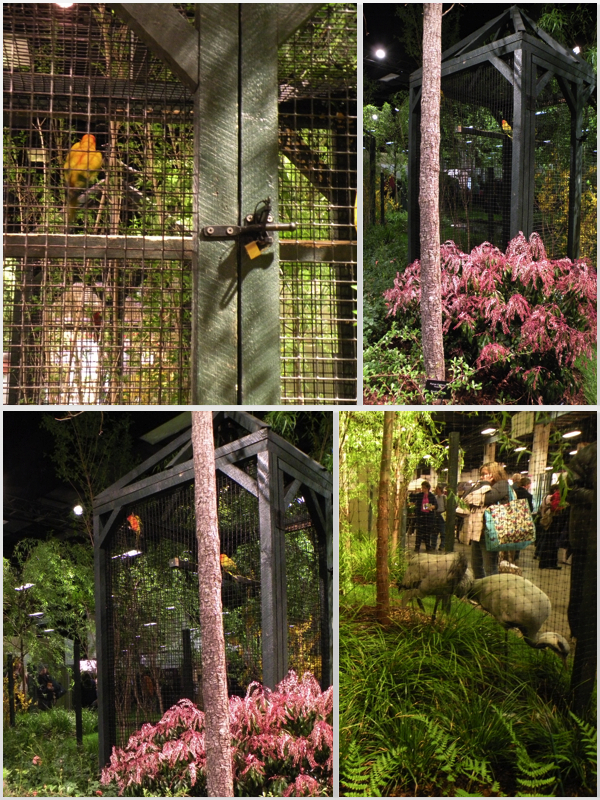 Award winning landscape architect Peter Sadeck’s display featured a dense assortment of both flora and fauna including cranes, roosters and parrots. Interiors by MS showcased an indoor/outdoor room under a truly beautiful glass ceiling. Ahronian Landscaping & Design and the Medway Garden Center outdoor kitchen, stone and timber structure and waterfall “curtains” were spectacular. 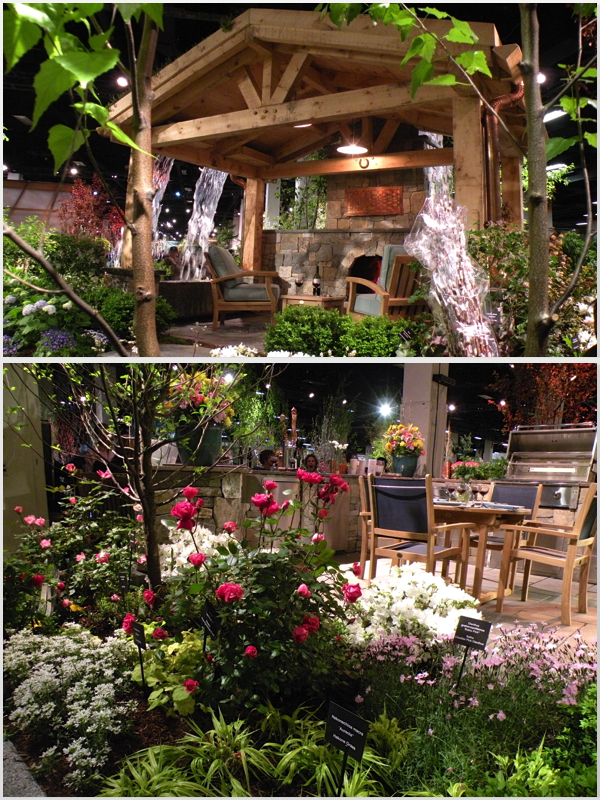 Top image: Garden by Heimlich Nurseries that depicts the transition from Spring to Winter. It was certainly beautiful, though for a populace who is so over winter by this point, a chilly, snow covered garden space was a risk. I wanted to send a shoutout to lighting designer Nancy Goldstein of Light Positive in Marblehead who has done the lighting for this show for several years. The lights on this winter garden were blue to enhance the feeling of cold, while the other displays were lit with warmer lighting. Take a look again at MS Interiors indoor living room above. It is just basked with light, even though there is a ceiling right overhead. Great job Nancy! Bottom right: a meandering garden (apologies – I didn’t take note of the designer). Did you go to the show this year? Would love to hear your thoughts.